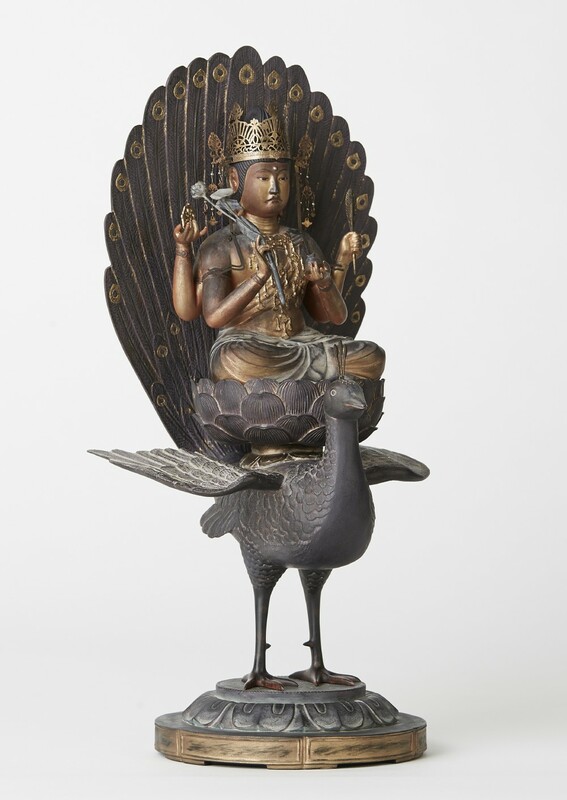 The peafowl, or kujaku in Japanese, which eats poisonous snakes, has been worshipped in India since ancient times. 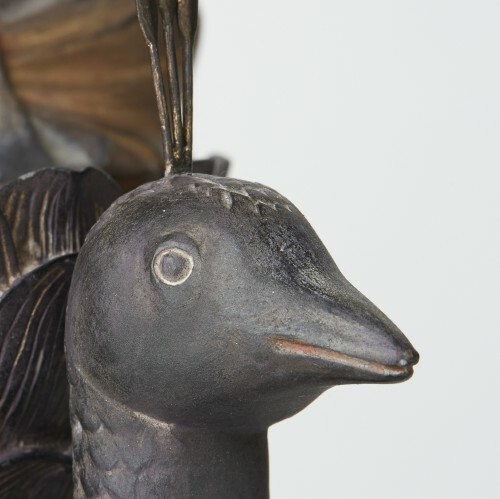 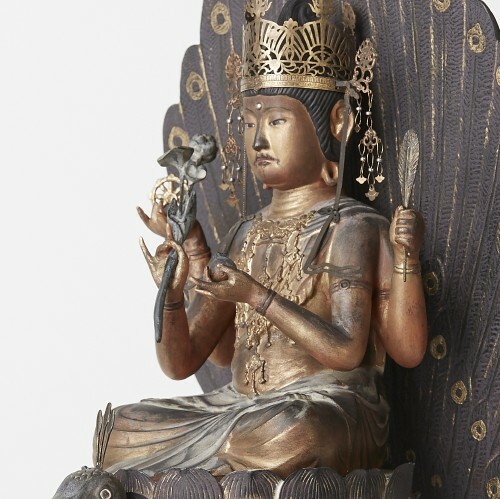 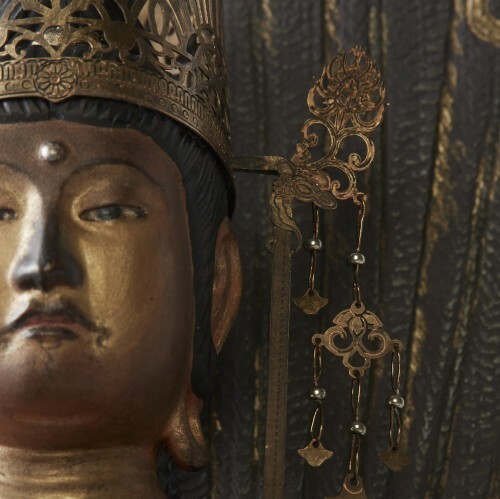 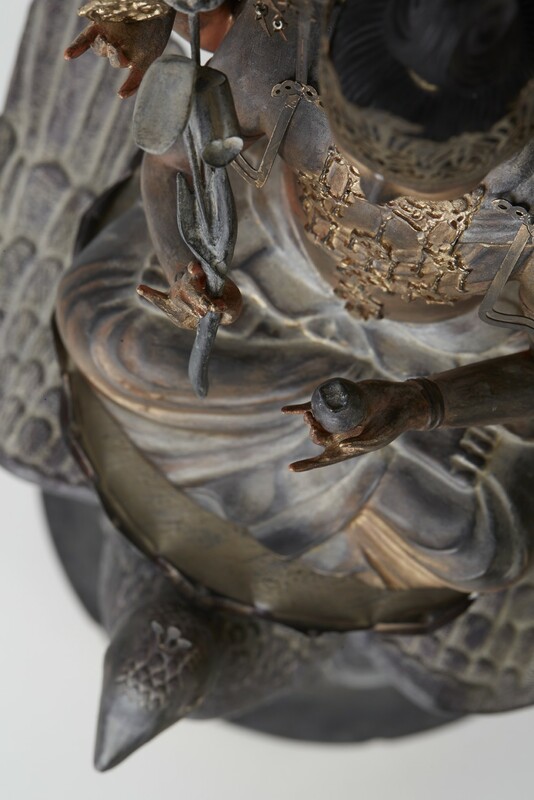 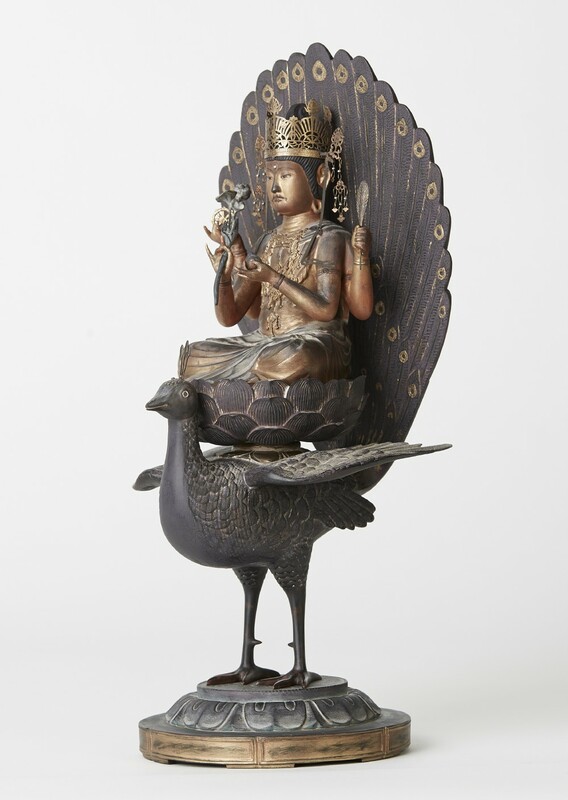 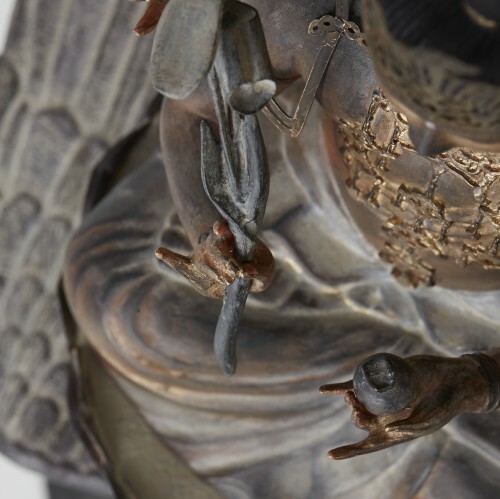 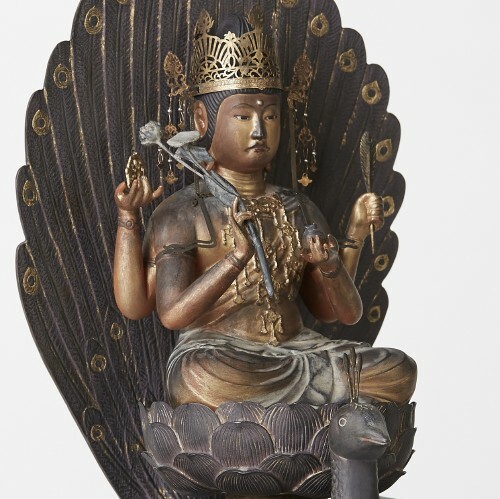 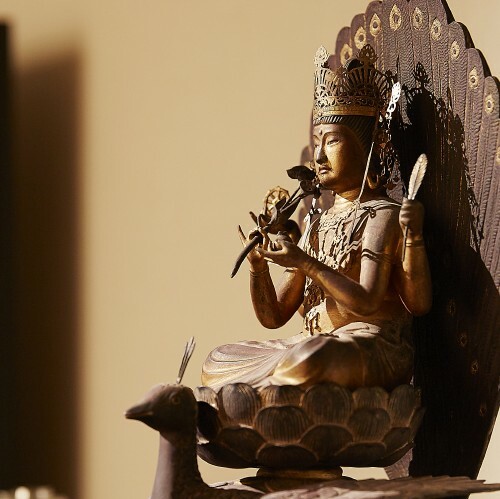 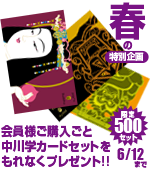 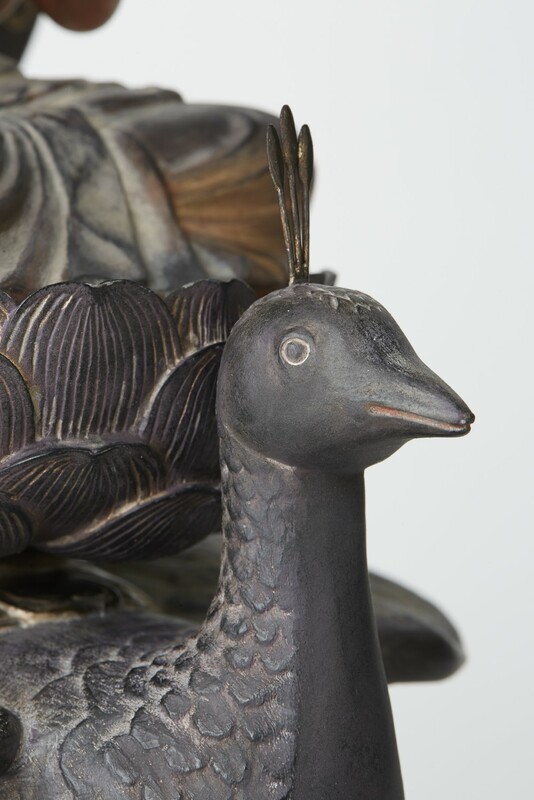 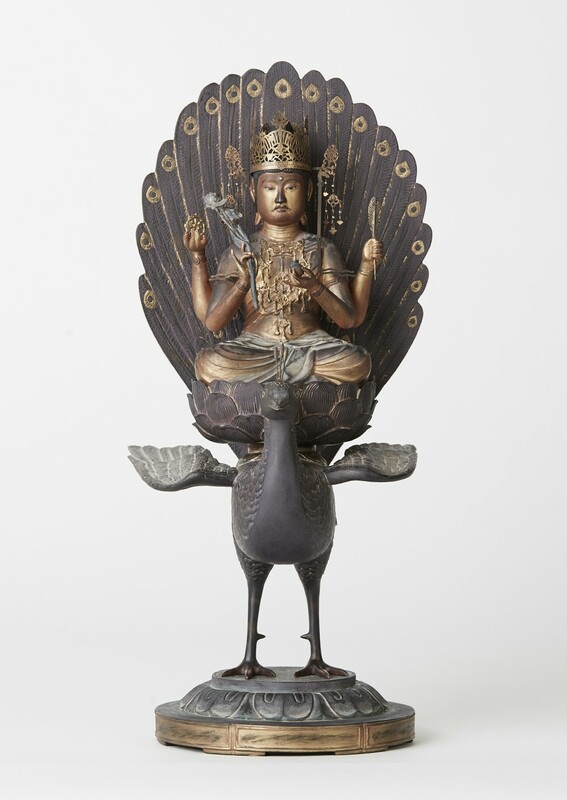 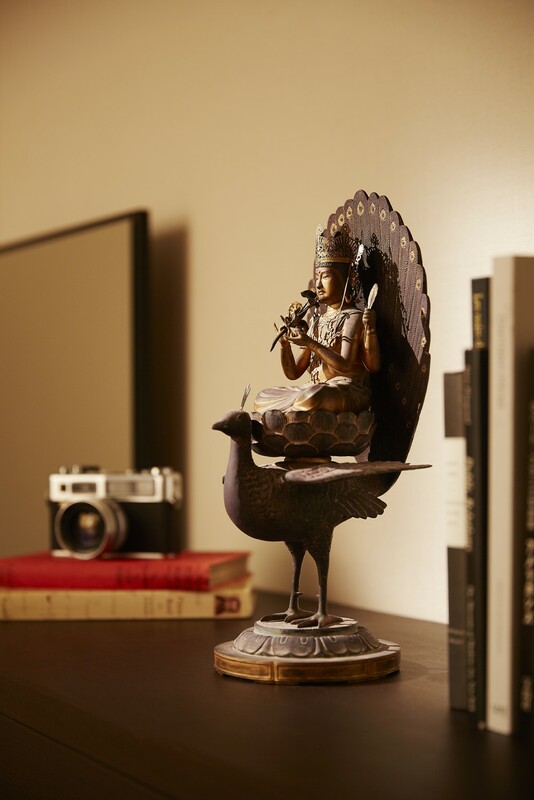 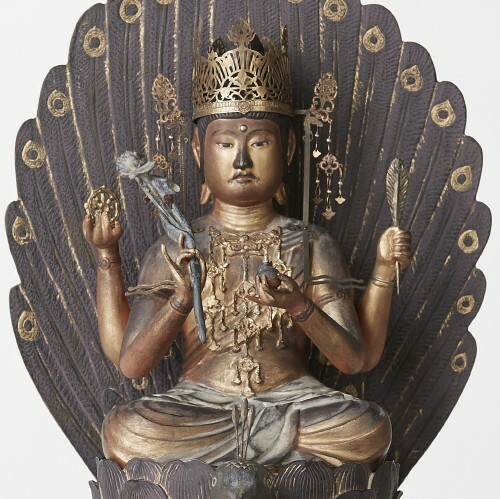 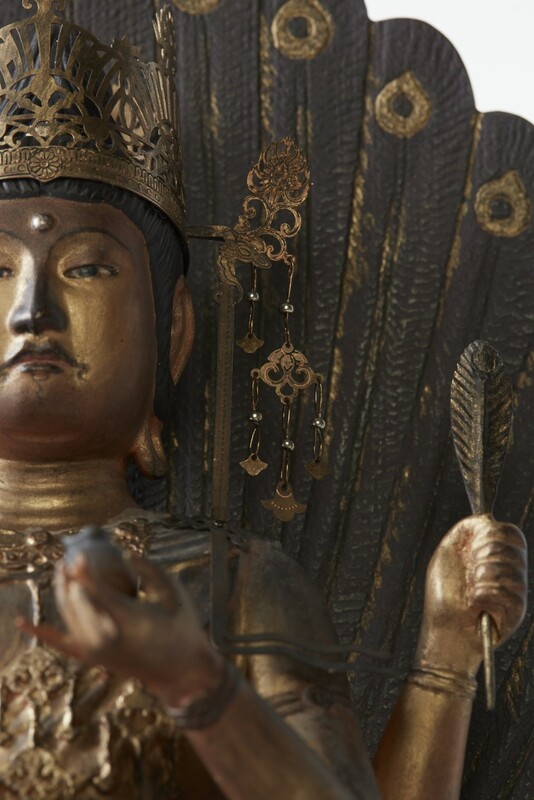 This bird became assimilated into the Buddhist tradition and became the Kujaku Myo-o. 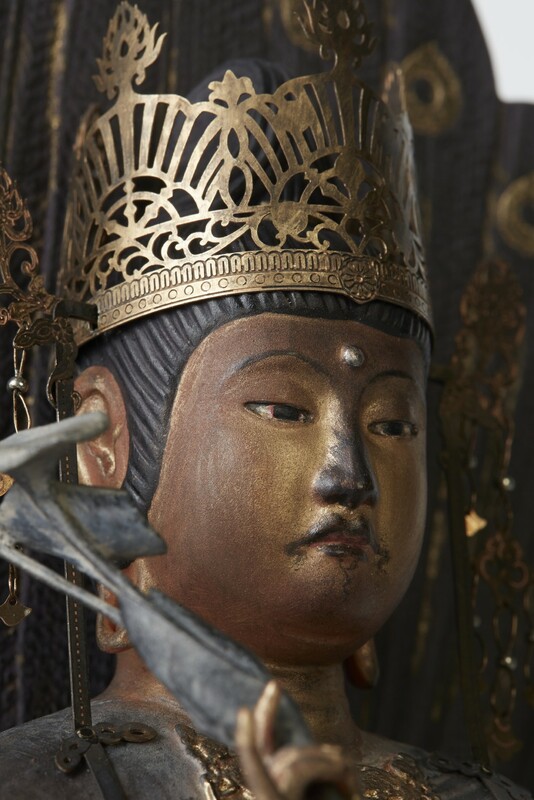 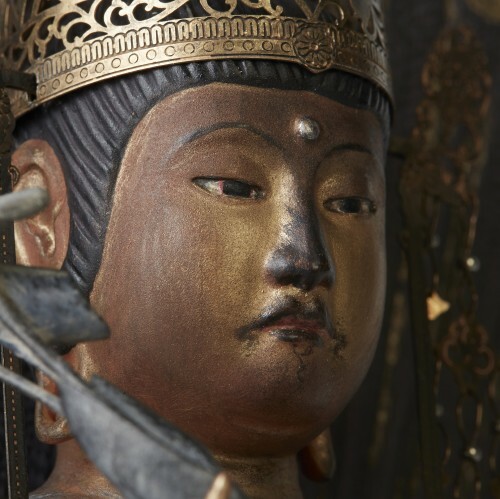 It is said to ward off evil spirits, and unlike other Myo-o that have frightening faces, the Kujaku Myo-o has a benign, feminine appearance.